How’s life my friends? I hope your having a fab weekend. I usually go through my phone’s photos during weekend to delete 3/4th of nonsense shots I took that week. You know, that 14 food shots of one dish or the 28 selfies wearing the new lipstick. To be frank with you, I’m very conscious of what I’m posting on social media specially the frequency. I can survive not posting anything for 1 full month but if you have a blog and want to be somehow recognize then I have no choice but be visible. But still I don’t want to bombard my followers of what I ate or what I’m doing every minute of the day. That’s why Snapchat is not for me. Although taking those pictures are good reminders of how your week went. You can look at them and somehow remember how you felt that day. So now instead of deleting them I thought why not just post some of the pictures here. Those who want to see them can see them and at the same time my social media followers won’t think I’m a narcissist. 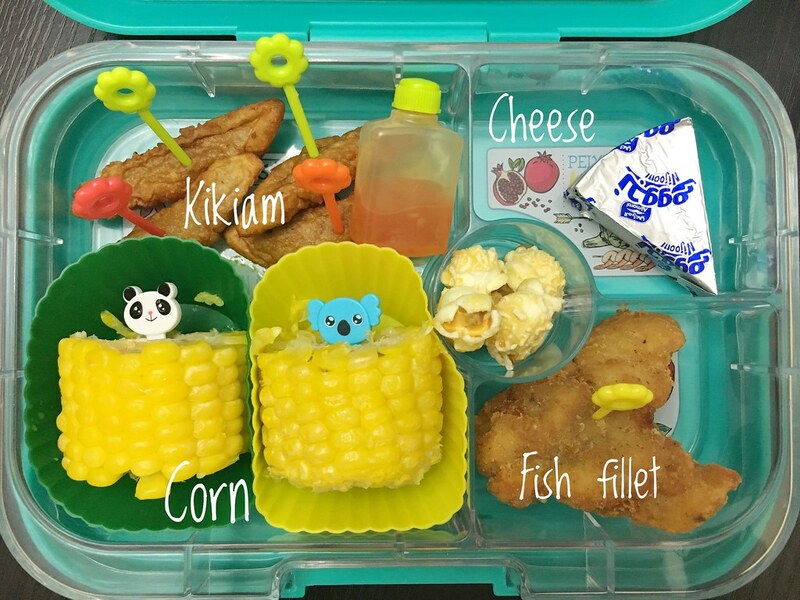 I’m still a strong advocate of #LetsMakeLunchFun started by Filipina blogger Abigail. 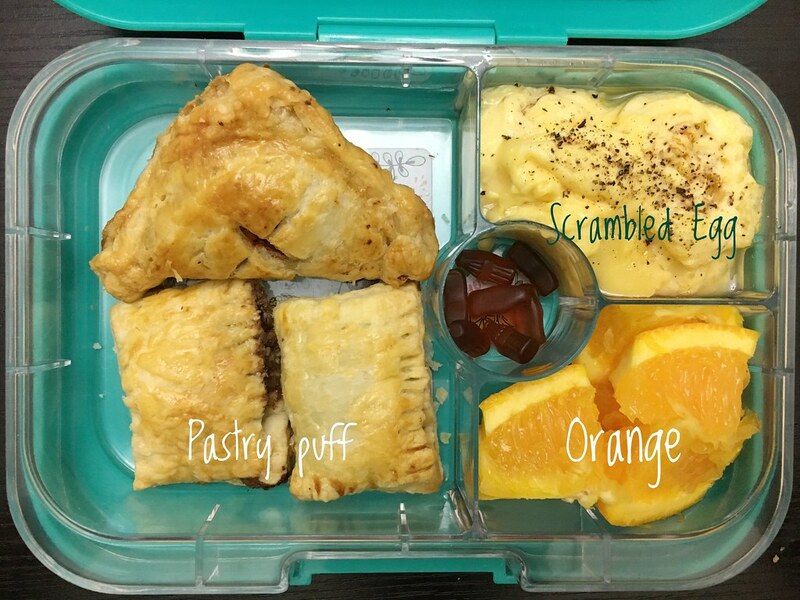 I just don’t post my kids’ lunch on Instagram often but you bet I still prepares them EVERY SINGLE DAY! I would sometimes feel guilty that what they eat is not ‘good’ enough so I would really prepare some of the dishes myself. You know, homemade instead of store-bought. 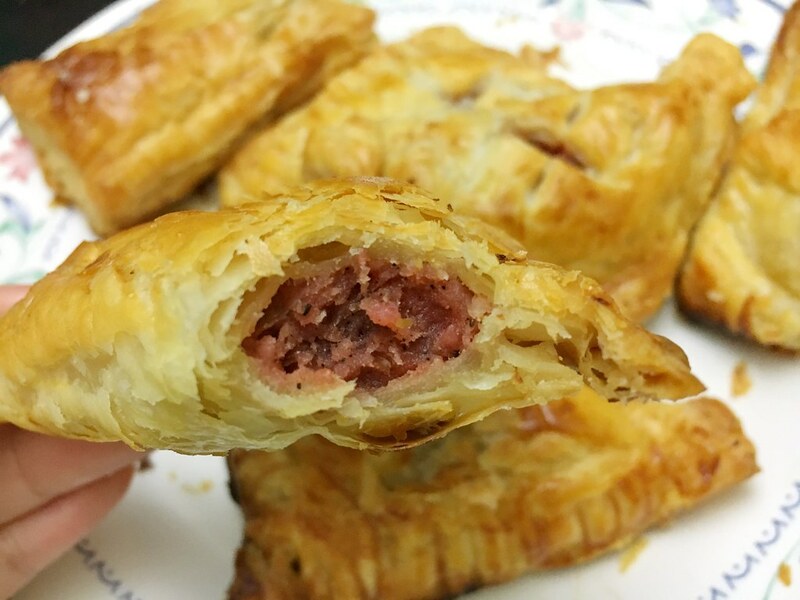 Like this puff pastry filled with skinless longaniza that I baked. I’ll be honest, it’s not easy. Between working 8 hours a day and my commute from office to home, there are times that I just want to eat dinner and sleep. Preparing their baon is not really a natural thing for me. Cole survived his early years with cookies, biscuits and chocolate drinks and it’s my Tita Beth who would prepare it for him. So all this is new to me and it’s tiring. But you know what keeps me going? It’s the small things. Just like when Cole told me that his classmate said that he is very lucky that his mom prepares good food. His classmate has the same sandwich and cucumber combo everyday. I feel bad for the classmate and I realized that Cole experienced the same thing for almost 6 years of his school life. And I don’t want him to experience it again. I wanted him to remember that he always had good lunch in school. Regarding Biel, she’s still a picky eater. She won’t touch some of the food but I’m not giving up. 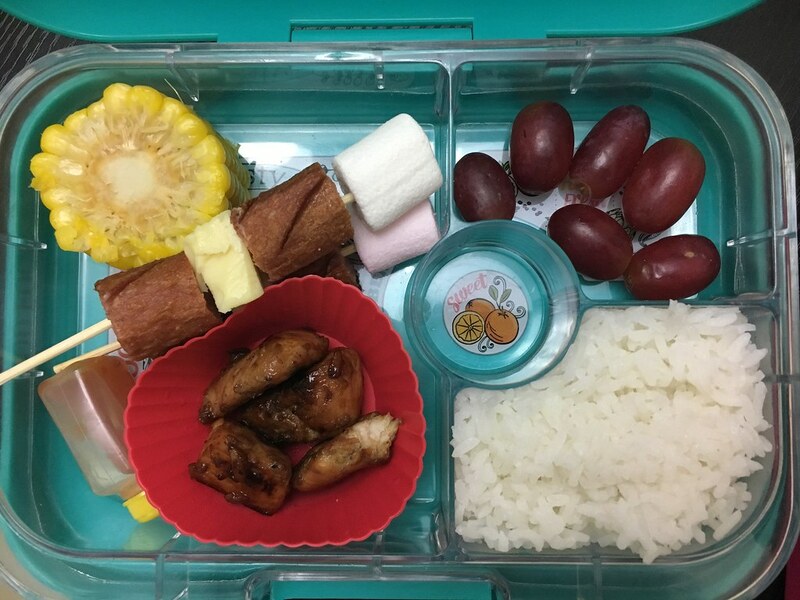 I told them my condition that they need to taste all their packed food, just one bite and mommy will be happy. Ate V (their nanny) reports to me if they were able to finish their baon. Starting next week, I told them that they’ll get 1 strike everytime they won’t even take a bite of their food. Three strikes and I will not prepare their lunch box the next day. Let’s see how it goes. 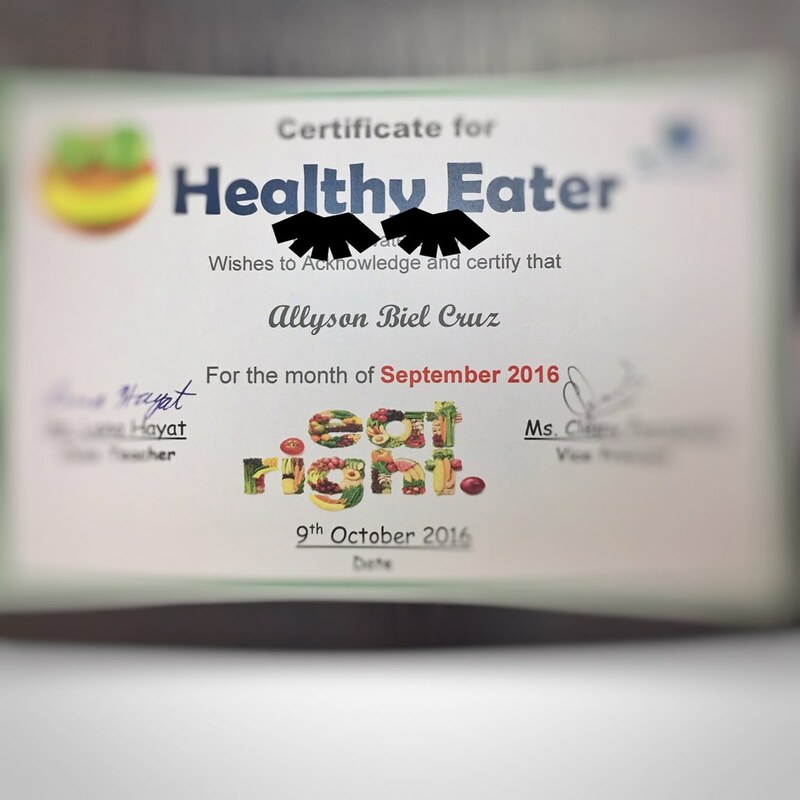 Anyways, another achievement for me is when Biel brought this certificate last week. Woohoo! 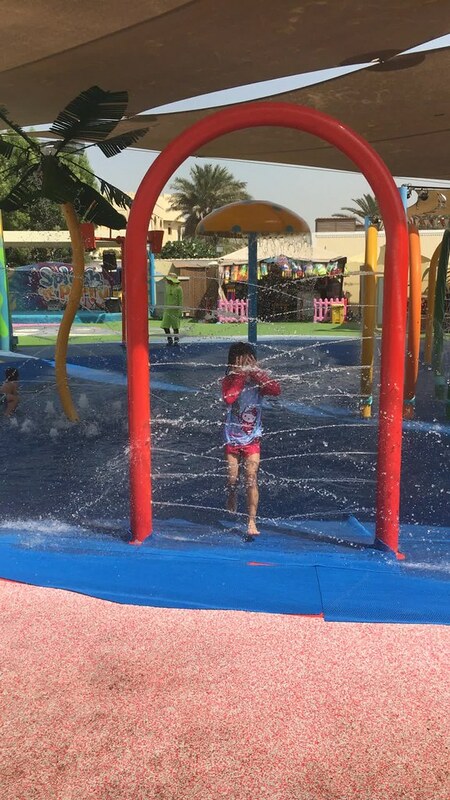 For activities, we went to Splash ‘n’ Party again last weekend. It’s always fun going here. And this is me. Uma-aura! Did I just tell you I’m not narcissist? 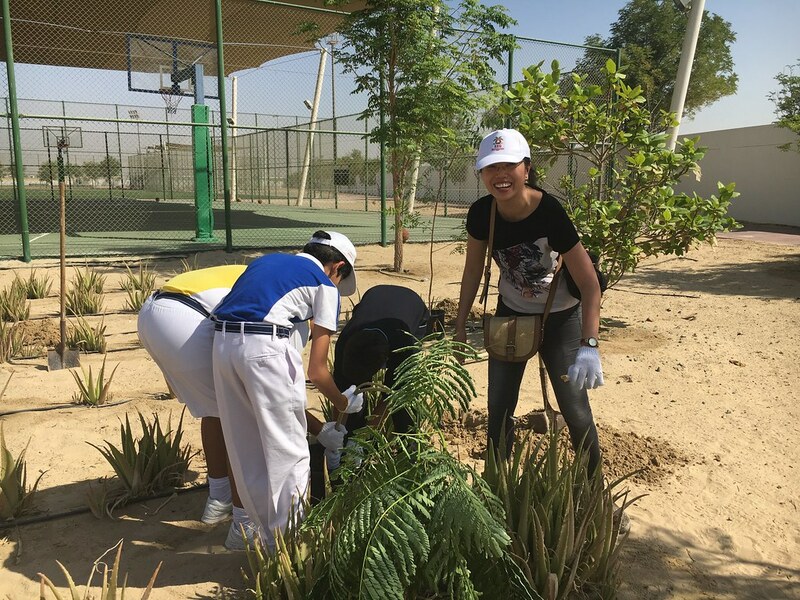 My company had a tree planting activity and although it’s still very hot outside, it’s nice to do some volunteer work. And my favorite past time – reading. 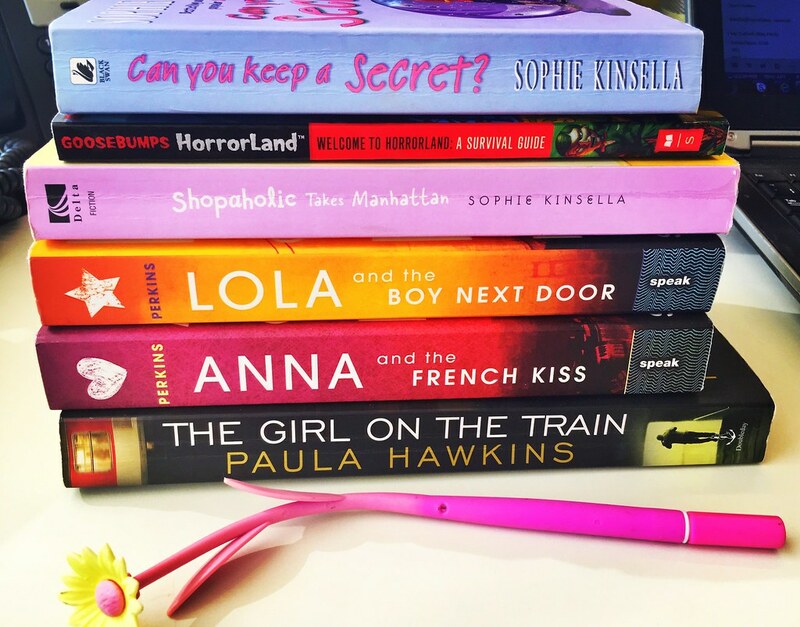 This is my second batch of books rented from Bookish.ae. I’m done reading Anna and Lola in 3 days and I still have few more books to go. How I wish the weekend isn’t over yet. You can still get 15% discount on your membership if you use my code FEXPAT15. Go, rent some books for your children too! Can I tell you something? Cole, at 9 years old, still believes in the tooth fairy. He still believes that Santa exists but his classmates are telling him that they’re not real and its just the parents giving gifts. He would ask me if it’s true and I will say that the reason his classmates don’t get any gifts from them is because they don’t believe. Children who believe get the gifts. He will then stop asking. 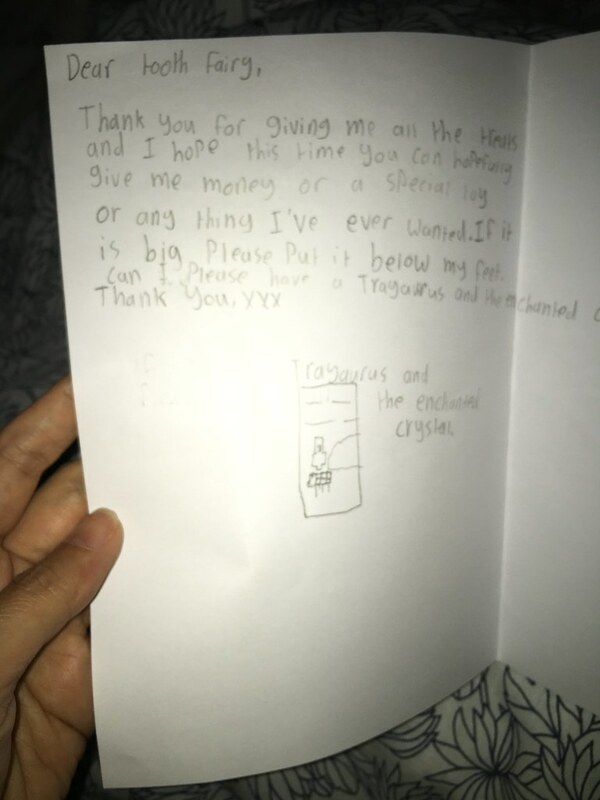 He wrote another letter to tooth fairy last night and this time although he is grateful for all the treats and toys, he wants this book from his favorite Youtuber. It will cost me almost 60 dhs. Can I ask you, when is too old to believe all these? And again, let’s finish this post with food pictures. 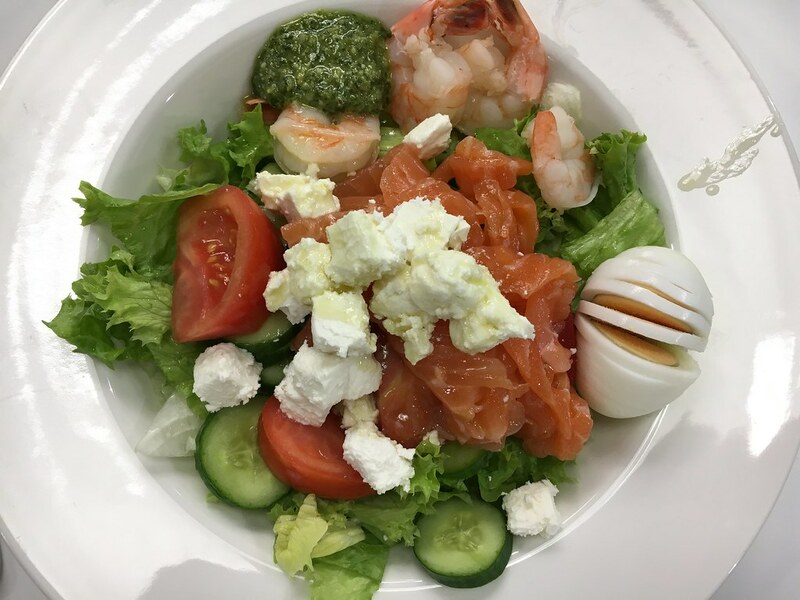 Both salads are from Salateira. I can recommend this place. I think their restaurant in Business Central Towers in Dubai Media City is their only branch in UAE so unless you’re within the area then it might be a hassle to dine here but I know they do delivery. 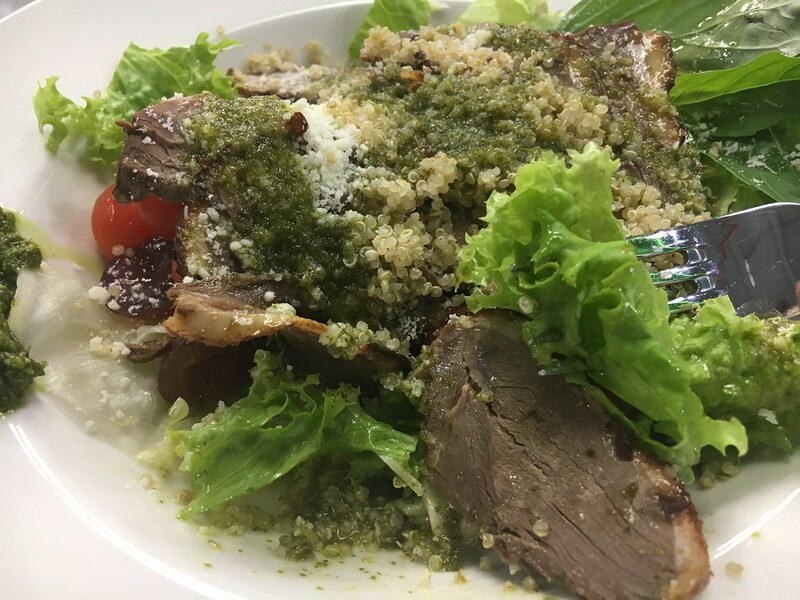 I always think that their served dishes are way better than their menu photos which is good. With duck breast. Super yum! That’s it folks! You guys enjoy the rest of the weekend and hope you have a fab days ahead of you! Ciao! 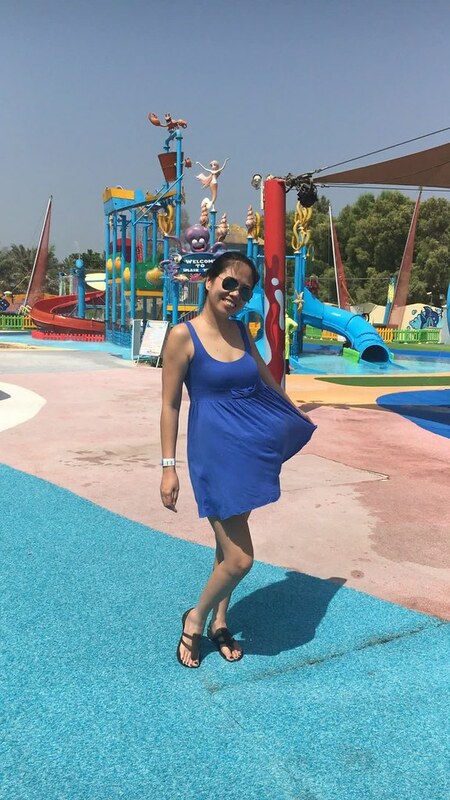 This entry was posted in Family, Musings, OFW and tagged Dubai, Dubai blogger, filipina expat, filipino expat, Pinoy Blogger, Pinoy in Dubai.